Summer is here & it is hot hot hot, but besides the cheap booze, beaches and other well-known things, Goa offers a lot more to do. Accommodation is cheaper now, adults or kids can climb trees, watch birds & wildlife, swim in lakes & rivers, and learn new things. 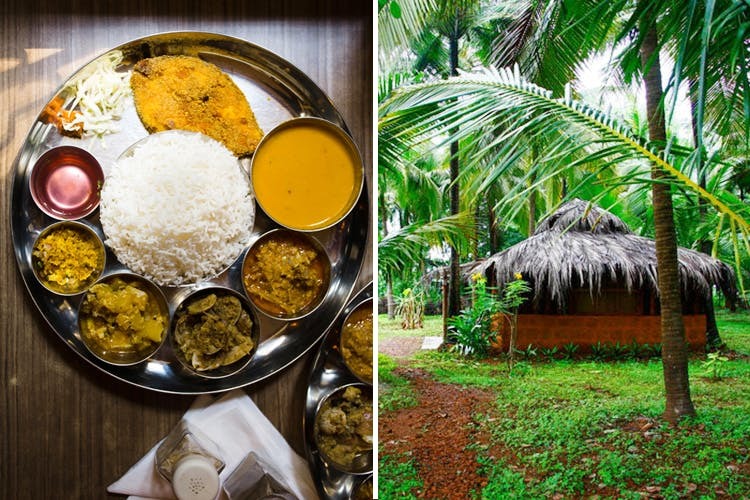 Goa offers it all, so check these out before you book a holiday in the hills. Goa in the summers means Urak season, which you get here only in the months of March, April & May. As this one is made during these months and taste best when it is fresh, it means a summer holiday in Goa. Plus this tasty drink, has very less alcohol content, and is especially had in the afternoons, as it tends to cool the body down. And it is really cheap, for about INR 100 you will get a full bottle, so go ahead and book that Goa vacay. Whether you have been wanting to learn to read, write, paint, woodworking, drama, cooking, singing or more, Goa offers a multitude of classes and workshops to learn these at. And you are indoors in an air-conditioned or cool environment, so there’s no reason to say no. Visit MOG, Gallery Gitanjali, THUS, Sunaparanta, Dogears Bookshop, Carpe Diem and Foodybreaks to check out all the fun workshops that you could do whilst on a holiday. Or just visit the only Customs Museum in the country to see the tricks smugglers get up to. If you are a water baby like us, then Goa is the best place. During the day when it is hot, just sit in the pool and chill, as most places have a swimming pool. And evenings when it gets cooler, head to the beaches for that dip while the sea breeze keeps it pleasant and get killer sunsets as a bonus. Or then take a picnic and head to riverside, or some local ponds and take a dip, while the jungle around you still keeps things cool. You could also stay at places such as the Olaulim Backyards, Off The Grid or Mangaal Farmstays which are in the cooler jungle or interior areas, offering a chance to maybe even catch a wild animal or two. This newly opened Jungle Canopy Walk, the first of it’s kind in the country is a definite must visit when in Goa. Though technically in Karnataka, it is just across the Goa border near the Castle Rock village. Where else will you get to see tree tops and the beautiful creatures that call it home while you feel like you are walking in the clouds and a cool breeze to keep you chill. Plus with 7 Wildlife Sanctuaries, you are never spoilt for options when doing that wildlife exploration and summers are the best times to catch animals out of their core areas. With most crowds gone, this is a great time to visit your favourite food and party places but be assured of prompt service, good food and no waiting forever to get a table. Catch some good live music at a few places, or just enjoy the food at Mamaramma, Peep Kitchen, Artjuna, On The Go, Tierra Y Mar, Off The Wall, Zeebop, Kokni Kanteen, Kismoor, Venite, Cantare, Royal Enfield Garage Café, Rocket Burger, Vinayak and more. Plus a lot of hotels offer brunch or lunch options with use of their pools (at super affordable rates), so visit Villa Botanique, The Park Hotel Calangute, Le Meridien, Presa Di Goa and many more to have a jolly good time.